Below you'll see a sample of the typical packages we offer for DJ events. Every event is unique and we custom design the package based on our client's needs. This guide will give you a reference so you can visualize the setup during discussions with your ERG event planner. 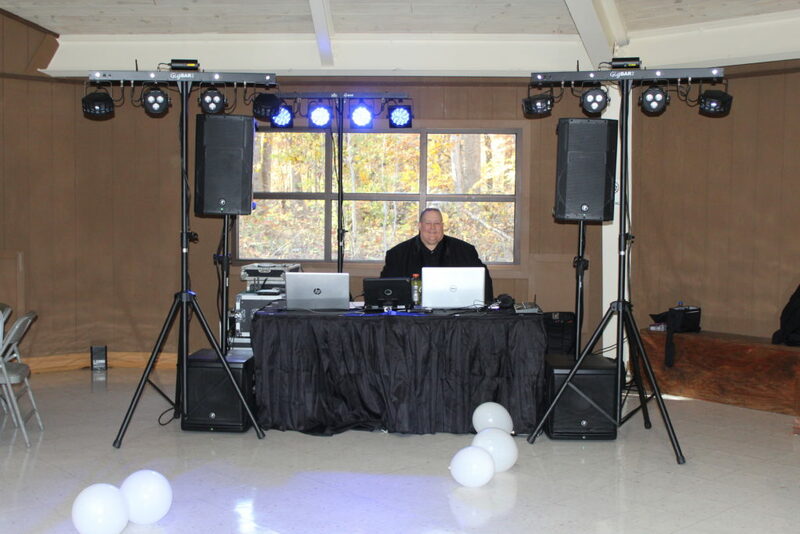 The DJ systems shown at the left represent the systems ERG recommends for most venues. Typical venues include Country Clubs, hotel ballrooms, outdoor tents and poolside. 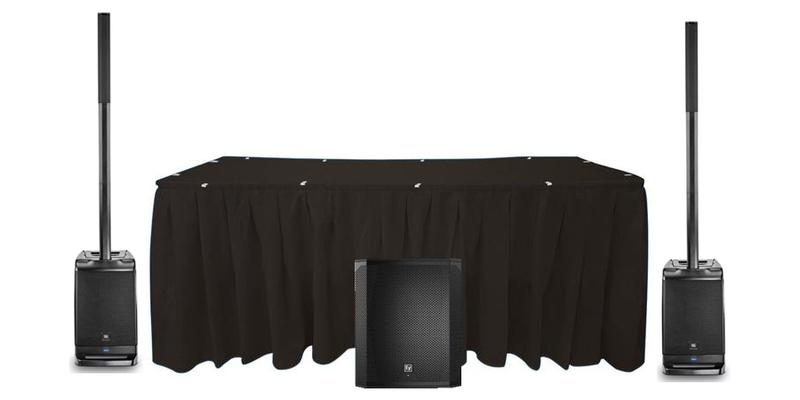 Your ERG representative will select the best system based on the size and acoustic properties of your venue and the estimated number of guests in attendance. 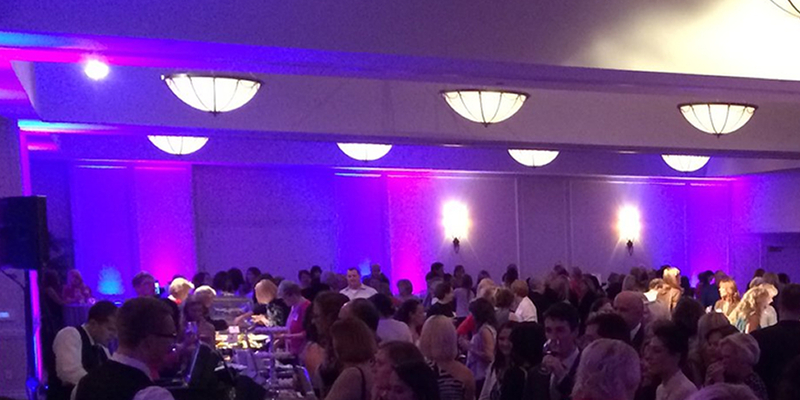 If you have to cover a larger venue or have an unusual requirement we've got you covered! The production division of ERG provides PA for festivals, events and band stages. We can accommodate any scenario, regardless of size. We'll work with you to find the perfect fit for your event. Lighting and effects add great visual impact to any event. The right lighting can not only enhance the photos at your reception, but can also add motion and energy to your dance floor. The team at ERG can assist you in selecting the right combination of lighting, video and atmospherics to bring your vision to life at your event. Uplighting provides a very dramatic effect, capable of transforming any venue. Colors can be set to match any fabric or floral color to compliment your reception. 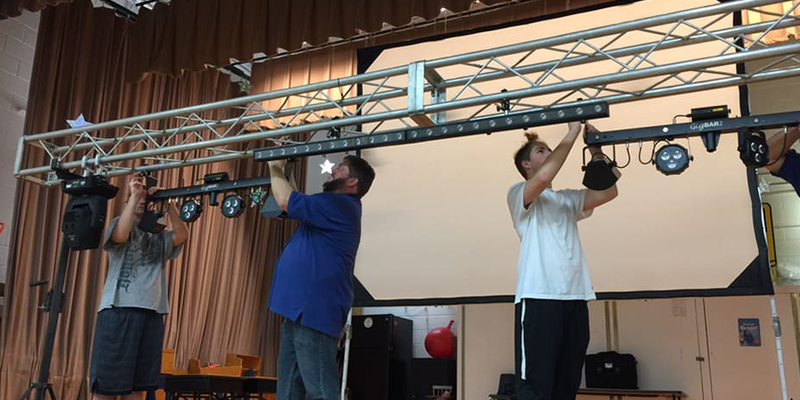 Our uplighting fixtures are professional grade units that are battery powered so they can be placed anywhere. They are also rated for outdoor use in any weather. Uplighting is available in multiples of 6 units. Although we stock an extensive uplight inventory, our packages are very popular and rent out of stock frequently. Contact ERG today to make your reservation. The Chauvet Gigbar adds a well-rounded assortment of effects that gives your dance floor a lot of energy and motion. Each bar contains 2 high output PAR lights for washing the floor, 2 Derbystar motion effects, 4 multi-color strobes (including UV) and a multi color laser. 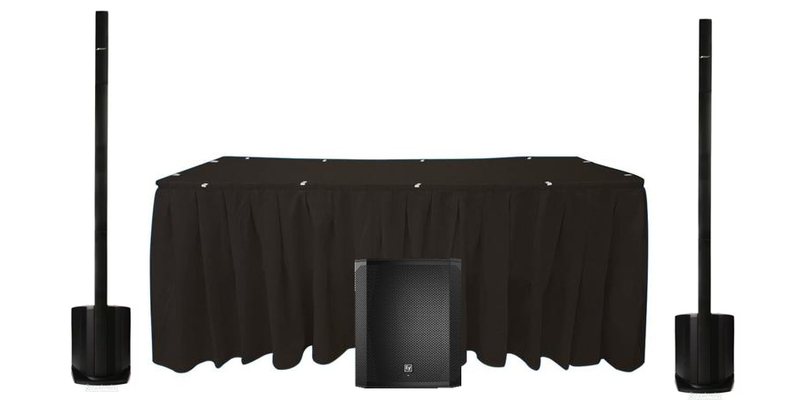 Package includes 2 Gigbar systems with stands. 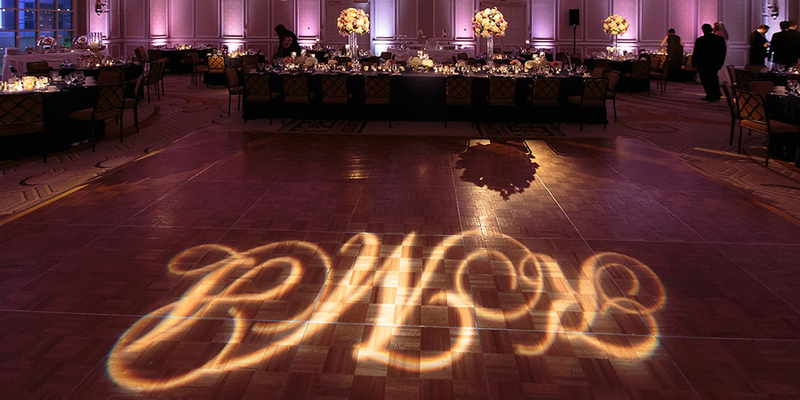 Using a custom, laser cut GOBO we can project almost any name, phrase, initials or design onto your dance floor, ceiling or walls. The images can be static or set to move about the space in a pattern (such as figure eight). Also, your custom monogram can change location, moving from a ceiling or wall down to the dance floor for the first dance. We can project the image in white or in colors. 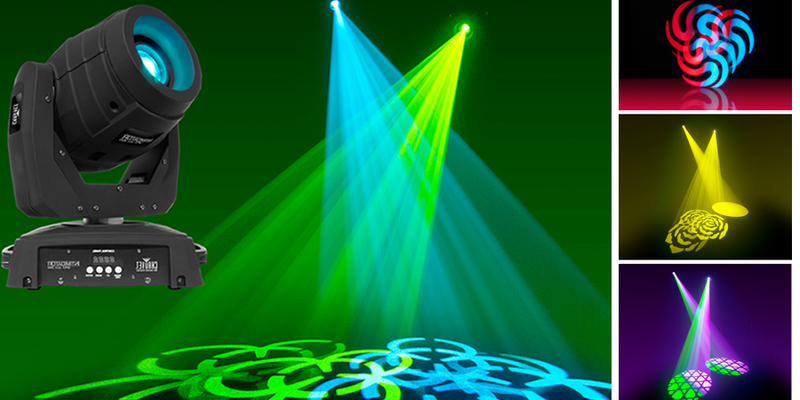 **Each custom GOBO costs $70 in addition to the projector rental fee and requires a 1 week lead time. You will keep the GOBO after the event. 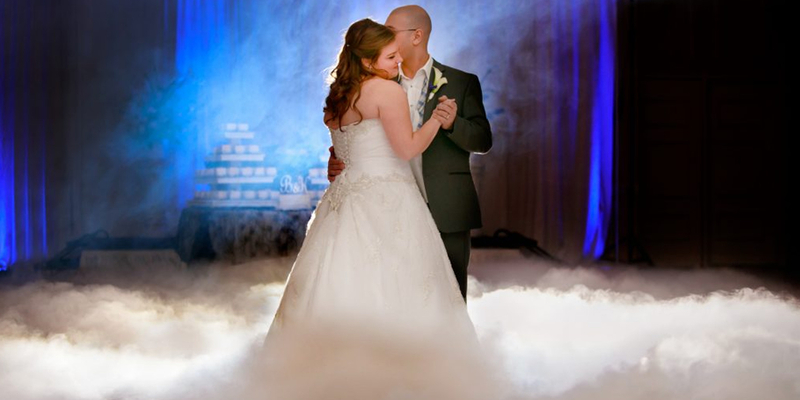 Using a chilled fog effect we can add a low-lying cloud to your dance floor for your first dance. Your wedding day is already magical, why not make your dance photos magical too! This stunning effect will have you feeling like you're dancing on a cloud. It's a classic, understated yet elegant effect that adds that a timeless look to any setting. Our LED PAR lighting uses color mixing to achieve any color (including UV and Strobe). 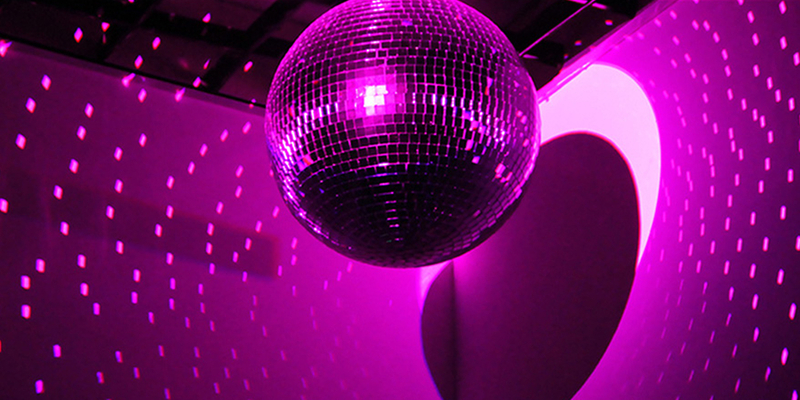 Our 16" mirror balls are commercial glass mirror tile balls that will cover an entire venue. If you've been to a concert you've seen intelligent lighting. Using a yoke-mounted moving head these fixtures power dynamic, impressive lighting combinations that can create almost limitless looks. Available in multiples of two instruments, your ERG consultant can help you select the right combination of medium and large format fixtures to achieve your desired effect. If you want to transform your venue into an immersive lighting and media powered show, the design team from ERG are ready to go! Add a lighting operator to your event to add the right mixture of magic and mayhem that will keep your guests talking about your event long after it's over. 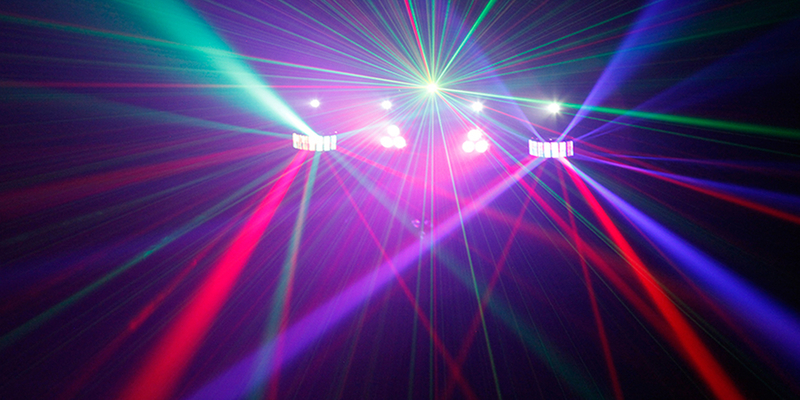 Using a combination of truss, tripod and totem mounted fixtures we'll design a custom light show just for your affair. Want to take it to the next level? Add a projection video wall backdrop! Depending on the lighting upgrades selected, venue and desired vision for your event, you can add very dramatic impact using atmospherics such as hazers, fog machines and fog chiller modules. For fun, add a whimsical touch for grand entrances and exits such as snow machines, bubble machines and confetti cannons. 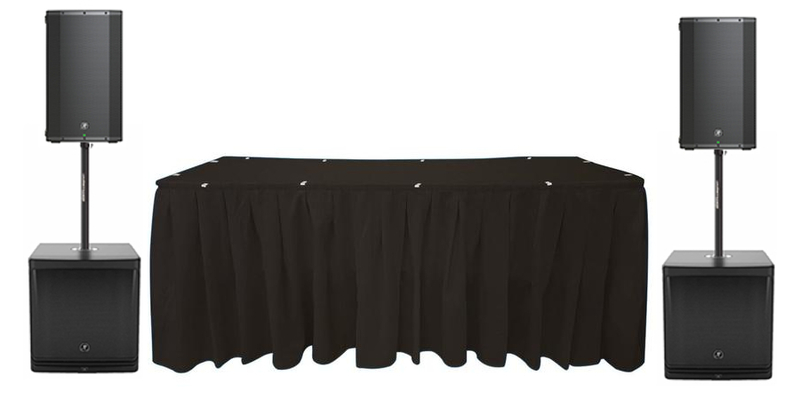 Ask your ERG team member about using these at your next event.